Bottle top dispensers can improve the workflow in any lab. The best way to dispense aliquots of liquid from large glass bottles or plastic bottles is to use a bottle cap or bottle top dispenser. The requirements of such dispensers are clear and simple: they must be capable of reproducible dispensing, without wasting any reagent. The Labnet Labmax Bottletop Dispenser has been developed through extensive testing and input from end users. The result is an easy to use instrument with a variety of specific features to meet the needs of end users. The unique closed circuit air purging system of the Labnet Labmax Bottletop Dispenser allows air and bubbles to be eliminated from the dispenser without loss of valuable reagent. The Reagent Gaurd Valve prevents accidental discharge of reagent when the Labnet Labmax Bottletop Dispenser is not in use. A simple turn of the operations mode selector activates this safety feature, which eliminates the need for discharge tube caps. The exclusive Integrated Swivel Neck of this bottletop dispenser allows the discharge tube to be turned 360° for convenient dispensing without affecting the connection to the bottle. The Labnet Labmax Bottletop Dispenser is fully autoclavable to 121°C for simple sterilization. This Labmax can be disassembled quickly and easily for thorough cleaning of the unit. Quick and accurate volume adjustment is easy with the locking rocker switch. The zero point is manufactured into the Labnet Labmax Bottletop Dispenser so calibration of the unit is not necessary, even after disassembly and cleaning. This bottle top dispenser is certified. The design, development and manufacturing stages of the Labnet Labmax Bottletop Dispenser has ISO 9001 Certification. 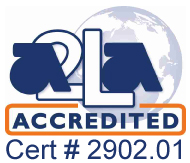 All Labmax units feature a dated mark for compliance with ISO 9001 procedures. Scroll down to pick the ideal volume range for your liquid dispensing applications.